This challenge features warm colors to inspire you — Smooth White, Orange Fizz, Boysenberry, and Gumdrop Green. Polka dot balloons, a cheery monster, and fun stitched stars - what more could you ask for? 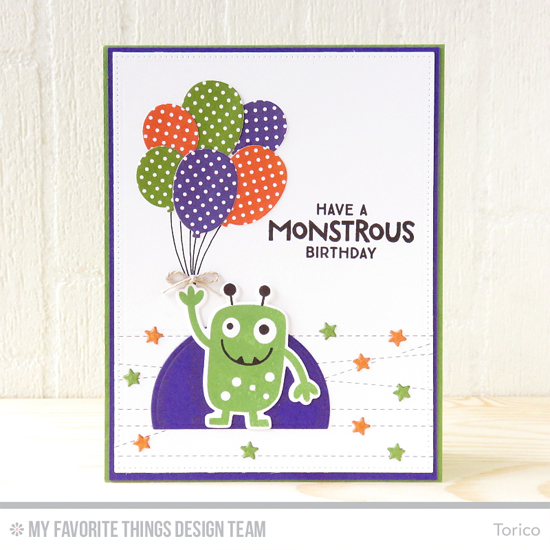 Our Monster Love stamp set and Die-namics features six charming little creatures that are perfect for customizing with the colors of your choice! A simple but effective watercolored background from Barbara incorporates all four colors from this newest palette - brilliant! 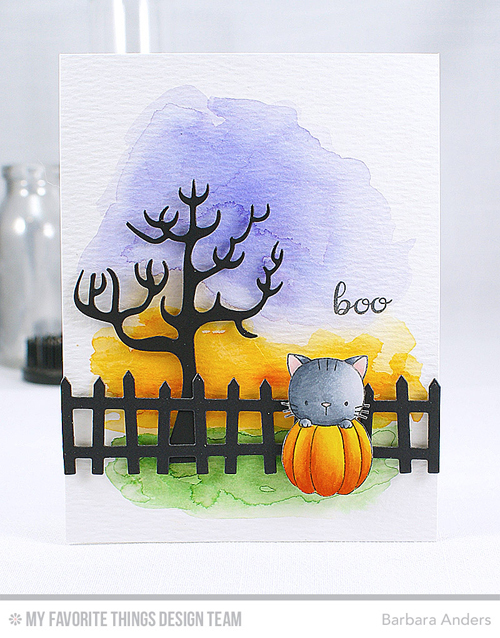 The background sets an effective stage for a sweet but spooky scene created with the tree from the Spooky House Die-namics and the Frightful Fence Die-namics. 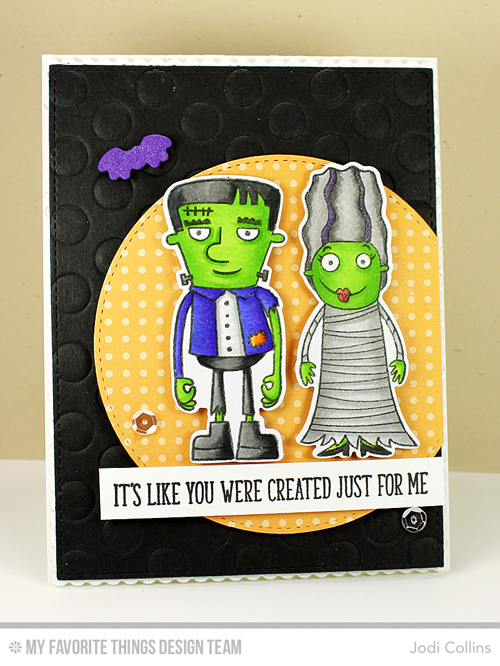 Frankenstein's monster and his bride are right at home on Jodi's colorful card. Frightful Friends is a Halloween classic as is Jodi's pairing of Polka Dots - paper from the Sweet Celebration Paper Pack and an embossed background created with Peek-a-Boo Polka Dots. Congratulations, Jessica Davis! You are the randomly selected winner of the MFT Color Challenge. You can view all the entries from the last challenge HERE. You have until Wednesday, October 13th, at noon EDT to add your link and be eligible for the prize of up to $20 in MFT Cash. Winners are chosen at random, so everyone has a chance! The prize is a $15 Gift Voucher to My Favorite Things, but if you use MFT stamps and/or dies in your project, you’ll receive an extra $5. The link to the facebookgroup won't work for me. Am I the only one who has this? Thanks Susan for the link.